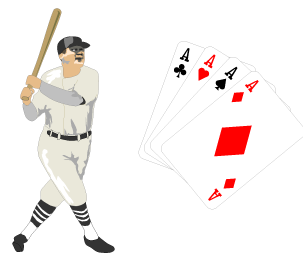 A game is an activity for one or more players. A set of rules tells players what they can or can’t do to reach a certain goal or outcome. Games are for enjoyment, entertainment, exercise or education and come in many types: sports, board games, card games, and party games like charades. Games can also be categorized into games of strategy (checkers), games of chance (Candyland), games of skill (hopscotch), and combinations of all three. Baseball, for example combines skill and strategy. Other games require skill, strategy and chance to complete a goal or series of goals. In addition to rules, all games have a purpose or an objective, like finishing first, gaining the most points or getting rid of all of your cards, making the most money, or answering the most questions.To get started, take a look at some simple Paper and Pencil Games. 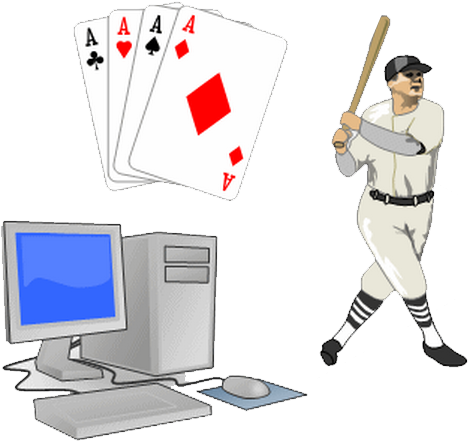 Think of your favorite card games: solitaire, concentration, go fish, canasta, BS, euchre, bridge, etc. Think of the structure of the decks (number of cards, suits, power of the cards, etc.) Make a card game based on the 10 biomes of the world. 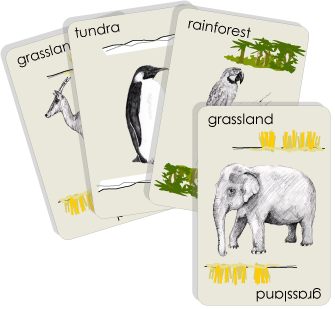 Make cards for the climate, the location on earth, the animals, the plants and the house types native to the region. Remember the power of wild cards- both positive and negative. Think of natural disasters for each biome as well as technological assistance such as food, clean water, power, etc. Game design requires problem-solving skills. Use your skills to design your own board game for more than one player. Think of your favorite book and design a game using the story as the theme. Use the questions below and the list above to develop your ideas, then design and make your game! Remember board games require some sort of board. Use your imagination to make the game exciting, fun, challenging and different. Who are the main characters in your book? (for example: The Lion, the Scarecrow, the Tinman, the good witch, the bad witch, Dorothy, the Wizard of Oz, and the dog. What are the necessary goals (the red shoes, the key to see Oz, the heart, the brain, the courage, the bucket of water, etc.) 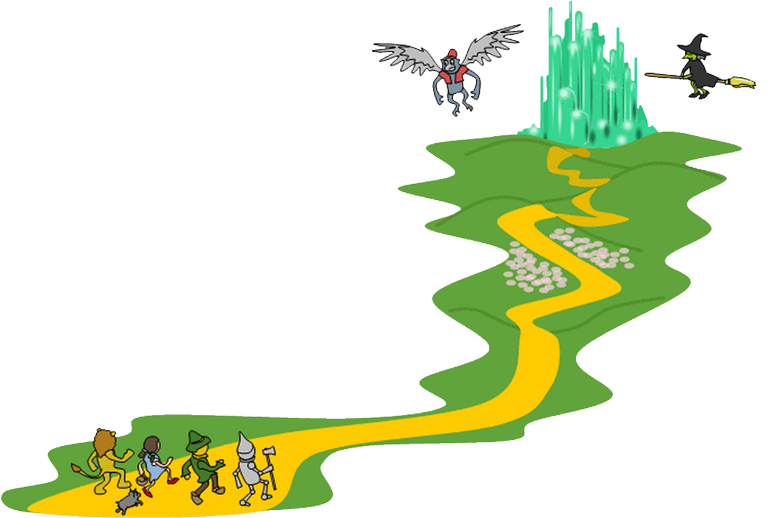 Make a board that represents Dorothy’s home as start and finish, and the yellow brick road with all of the obstacles as the path. Have wicked witch cards that set back a player’s progress and good witch cards that set a player ahead. Perhaps you are familiar with online games. What do they allow? Entertainment? Skill development? Education? What do you achieve by spending time on a game? Do you build new understandings? Do you build new relationships? 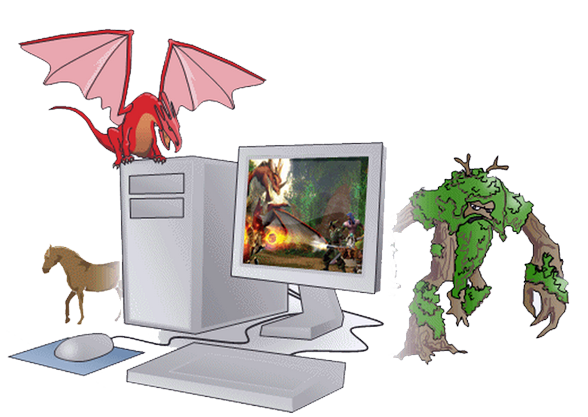 In this activity develop a story about an online game. What will be the goal or main purpose of the game? What will players need to do to ‘win’? As you generate ideas about types of games, a useful tool is the storyboard. A storyboard is a graphic organizer that uses a series of different size boxes for text and scene views. Sometimes game designers develop the script, or story of the game first. Story boards are then developed and tested as to how the game will appear, move through its stages, and be completed. Some game designers start with images and then develop the story scenarios and rules of play. Will they find an answer? Will they build something that works when it is complete? Will they learn something and solve a mystery? Storyboard and layout an online game scenario. What will players do? What will players learn? What will players need to succeed? Are there stages to the game? Before storyboarding your game, use word webs, place description and place exploration to describe the setting, the characters and the mission. After conceptualizing, storyboarding and test playing games, game designers prototype their ideas for a new game and prepare a game brief. This brief gives the title of the game, the rules of the game, the nature of the game, the number of players and the target age group. The prototype details the playing pieces, playing board, or digital interface complete with setting, sounds, actions, etc. For both the board game and the digital game, scenarios are then described which lay out the ‘if this, then that’ story lines of what happens next. At this point, if you are working alone it may dawn upon you that it might be helpful working in a team to get feedback about the game design and to share the work load in completing the game deliverables! Find a gaming team that 'is game’ to help you. Working together prototype your game and test it. Make changes and adjustments as needed. What other questions do you need to answer about your game? Answer your questions. Create your prototype. Send it to a game designer. Get your game face on! In this activity you will design and prepare a brief for a video game design. Start by answering who, what, where, how and why questions. Who are the characters in the the game? What are they doing? What do they need to do? Where does the game take place? What rules determine actions in the game? How do events unfold in the game? Define winning. You can use storyboards, or graphic charts to write your answers to these questions and then sketch possibilities about what the scenes might look like. Continue your research and explore alternatives sharing possible content with friends. Look over the Game Script and Story Board, Video Game Design 1, or select your own template from Game Design Template . Storyboards present images and scripting ideas for actions and consequences to get feedback or input for improving the game. Get started! Generate storyboards!!! What three things do all board games have? Name three games of exercise and skill. What is you favorite card game? List the main rules. What is your favorite board game? List the key pieces of equipment. List three educational games. Could they be more fun? When Did Game Playing Start?